Nice catch. Do you think exploiting cross-iframe same-domain drag&drop might be plausible? 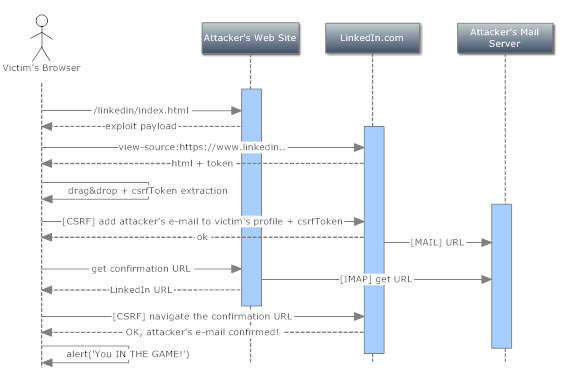 Using links with CSRF or session ids also works well. Also facebook plugins with the user photo / link like facebook comments also works well. Albino, I didn't investigate, yet. Matt, I appreciate your notes even if I can't find a previously published paper/article about the techniques I described so.. I hope you enjoyed the formalization of the issue and the publication of the "method"! Oh I enjoyed the writeup just upset at my self for being lazy. ;) Great write up!